Daresbury Laboratory recently held its Particle Physics Masterclass over the 3 days between March 1st and 3rd. 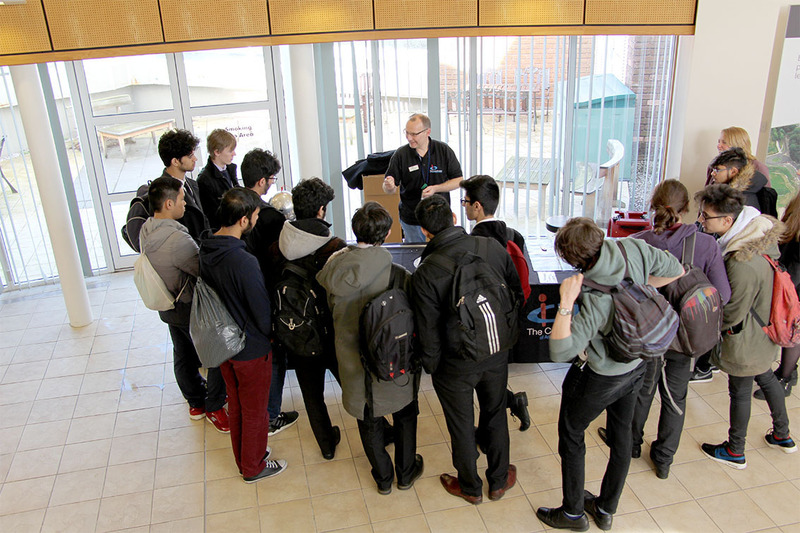 The event was organised and publicised by the Daresbury public engagement team, and hosted by the Cockcroft Institute (CI), with scientists from ASTeC and the Cockcroft Universities ably-supported by CI Ph.D. students delivering the Masterclass activities. This year, the Daresbury team trialled a new initiative intended to really fire the imaginations of a small group of students predicted to attain an A* grade at A-level and intending to study physics at university: the PPMC A*. The Masterclass was opened by Dr. Lee Jones who gave a brief review of particle accelerators at the Daresbury Laboratory, and demonstrated how the NINA project had led to the SRS and then to Diamond, ALICE, EMMA and VELA, and how synchrotron radiation (and its applications) are such a fundamental part of this story. The talk highlighted how the evolution of the accelerator technology and the opportunistic exploitation of synchrotron radiation from the NINA accelerator had kick-started the development of electron accelerators to deliver synchrotron light, and ultimately the concept and realisation of the Free Electron Laser (FEL). Following refreshments and a chance to chat with CI staff supporting the event, the students embarked on a series of activities, the highlight of which was a tour of the ALICE accelerator. 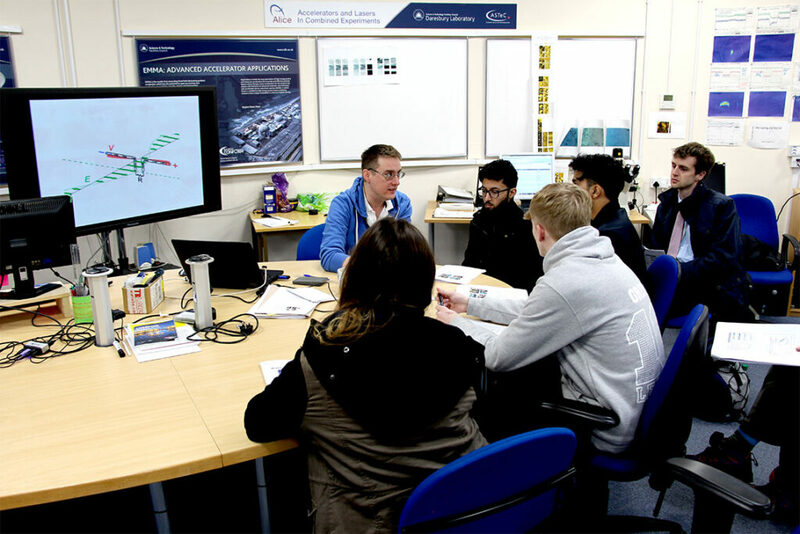 In the weeks before the Masterclass, the students had been given a 2-part classroom exercise allowing them to make an accurate estimation of the total energy of the particle beam emerging from the ALICE electron injector. This pre-work was supported by a presentation enabling their teachers to lead students through a review of some basic physics principles and derive a mathematical formula for the beam energy based only on quantities which are easy to measure. 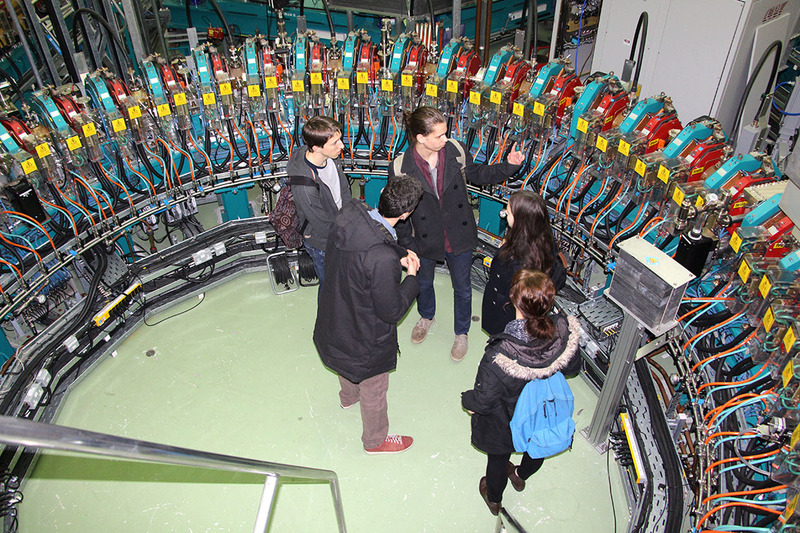 During their visit to ALICE, the students were shown the parts of the accelerator on which the exercise had focussed, thereby putting it all into context, and they were given the measured values they needed to complete the second half of the exercise which would subsequently be done when they returned to school, giving them an estimate of the total energy of this relativistic electron beam. Two of the other main activities for students attending this Masterclass were computer-based simulations investigating both accelerator and particle physics, intended to give a deeper understanding of the physics under-pinning these disciplines. The students firstly considered the challenges of effectively focussing the contra-rotating proton beams in the LHC at one of the interaction (collision) points, seeking to optimise the process and maximise luminosity via a custom-designed MatLab interface which was both intuitive and informative, immediately showing the students the consequences of making even subtle changes to the collision conditions. 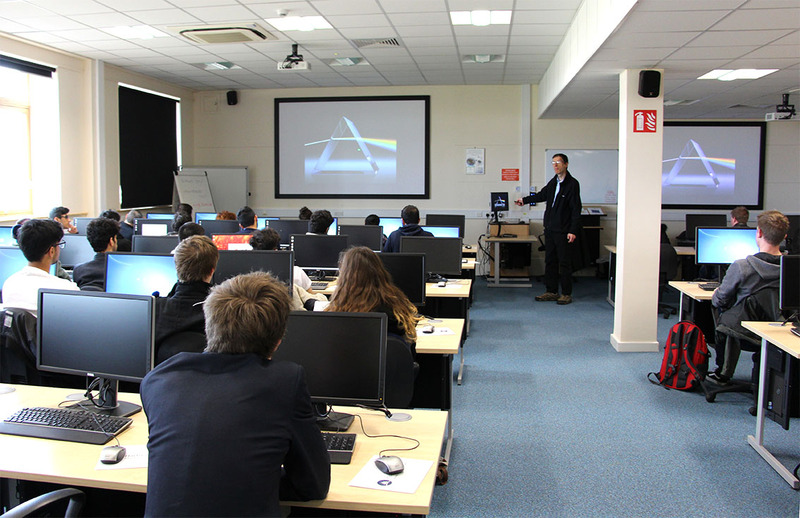 The students then worked through the Lancaster Particle Physics Package – a web-based tutorial package which reviews essential basic principles of physics and particle physics, and goes on to apply these to real collision data from the Large Hadron Collider (LHC). Ultimately, the students were able to identify collisions which contain the signature of a Higgs-like particle. Aspects of under-pinning particle accelerator technology such as vacuum, superconductivity, the use of high voltage to accelerate particles and the use of magnetic fields were also demonstrated to students in what was the most relaxing of the four practical sessions. Students and teachers alike were amazed by the Meissner effect in which a high-temperature superconductor is first seen to levitate above a magnetic track, and then ‘hang’ from the inverted magnetic track (it literally levitates below the magnetic track). A viewing of the ALICE promotional video completed this activity, and gave the students a clear picture of how the FEL light and THz radiation generated by ALICE is used for scientific research. In parallel to these four activity sessions, students attending the PPMC A* class had a different experience: This intrepid group of just 12 students spent their time under the supervision of Dr. Duncan Scott and Dr. Chris Edmonds, learning in detail about the ALICE accelerator and what it takes to actually operate a cutting-edge particle accelerator. The PPMC* group was only run on the middle of the 3 days of the event, but the impact on the students and their teachers was clear, and the concept such a success that we plan to run a parallel PPMC* group during each day of the 2017 Daresbury Masterclass. The day was rounded-off with a lively talk by Prof. Fred Loebinger (University of Manchester) on the history of particle physics, and the significant part played in this by the Particle Physics department at the University of Manchester.